Scoop Cargo, Globalia member in Tunis, Tunisia has recently revamped their website and come up with a new and improved design which will definitely enhance their customer’s experience. The new website contains updated info about their company along with detailed description of their activities and services. Since their inception in 2002, GLOBALIA Sydney – Paul’s Customs & Forwarding Solutions has grown and evolved to become one of Australia’s leading boutique logistics providers, specialising in total fulfilment solutions. Based in Botany, New South Wales, and within 1km of Australia’s largest sea and air ports, PCFS operates a 5000sqm bonded warehouse facility, along with an extensive fleet of company-owned vehicles. PCFS is D.G-licensed to store Class 2, 3, 5, 6 & 8 as packaged products. “This is a value-added service we offer our customers who don’t operate their own warehouse facilities, and who choose to use our 3PL D.G handling services as a distribution arm of their own operations” says Paul Petrovski, Managing Director. However, this is not an easy task that just any agent can handle, it requires professionalism and especially attentive service. “We need to follow strict guidelines for labelling and documentation in accordance with Australian and international standards. Regulatory audits are conducted on a quarterly basis to ensure compliance across all of our designated categories”, Paul Petrovski adds. PCFS hold stock on a daily basis for their customers, one such stock being pool chlorine. 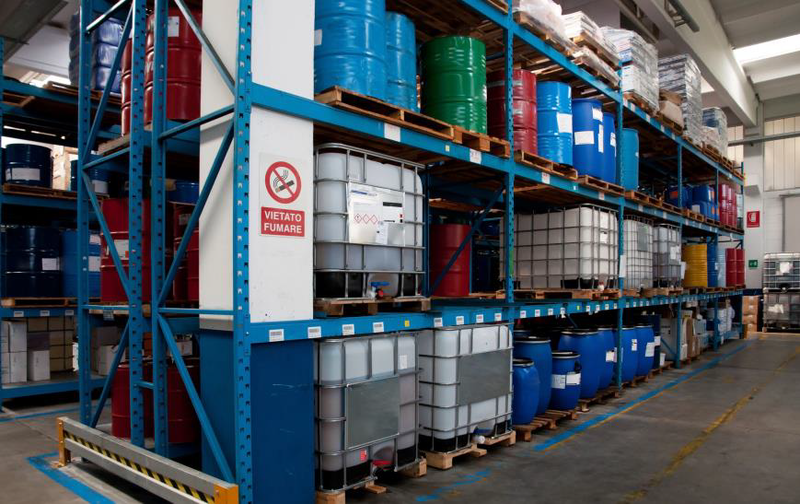 Held as overflow for their client’s warehouse, the chlorine is class 5.1 and packaged in 10kg pails, at approximately 78 – 80 pails per pallet. An especially large volume of the product is stored coming into spring/summer, as you might expect.